I recently came across Bettynoirbettyblanc’s blog, and this post in particular, where she discusses her problem with Richard Dawkins. I was composing a response to post in the discussion, but it grew into something a little long for a comment. Here it is, with relevant excerpts from her post. In the post, Betty discusses her take on Richard Dawkins – a man who, for good or ill, is the first person people think of when atheism is mentioned in Britain, especially in connection with evolution. I encourage you to read what she writes before continuing here, as I will not cover all of what she says, nor present her thoughts in the order she does. Why do I find him interesting? I just wonder about his dogged obsession with religion and with those that practice it. He is a scientist and yet he seems to spend [much] of his time trying to argue that following a religion is at best ridiculous and at worst positively harmful. I just don’t understand why. I’ve read several of Dawkins’ books, and I think that this misrepresents him. While I think his tone regarding religion is not particularly helpful, it’s worth noting that of the ten popular books he has written, only one is about religion (yes, it’s The God Delusion). * Not exactly a dogged obsession. More of an unavoidable side-note for someone in his field who wishes to engage the public. A whopping 40% of Americans are creationists and Dawkins compares them to holocaust deniers. This is highly offensive. A holocaust denier is someone who twists the facts of the historical record in order to bolster a racist agenda. These people are motivated by their hatred of Jews. The facts do not matter. For a creationist, evolution has not been proven beyond reasonable doubt. There are questions about the theory that they believe have not been adequately answered. They believe the story of creation not in order to further a hate campaign, but as part of a belief system. While I wouldn’t personally choose to compare evolution-deniers to Holocaust-deniers, I understand Dawkins’ choice of such an analogy. First, it is accurate inasmuch as both holocaust-deniers and evolution-deniers reject the overwhelming preponderance of evidence in favour of a position that is based entirely on ideology. As Betty says, they “twist the facts of the historical record in order to bolster an agenda. … The facts do not matter.” At least that part applies equally well to both sorts of deniers. 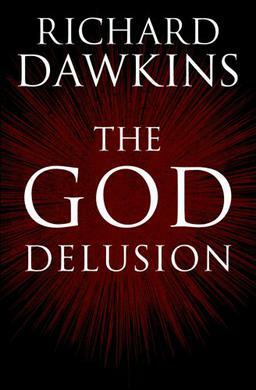 Not only that, but for much of Dawkins’ career he has also engaged in the admirable task of sharing this wonder and these discoveries with the public, in his very readable and accessible books of science. Creationists belittle not only Dawkins’ work, but the careful work of hundreds (thousands?) of scientists leading back to Darwin. They belittle it without any good arguments, without any good evidence, and usually with a complete failure to grasp the evidence they’re trying to refute. Either he wants people to know about evolution and to ‘convert’ the creationists or he just wants a nice argument to bolster his book sales. I think if it was the former then he would be wise to act in a more conciliatory manner, and watch his language (ie the use of the word ‘ignorant’, I would also like to point out at this point that some of the people I know who are most knowledgeable about evolution are in fact creationists). I can’t verify much of what he says because I don’t have access to the research or fully understand the terms and the processes involved. It’s been a long time since I did higher biology and chemistry! I suspect that for most of his vociferous cheerleaders on websites and forums across the globe, this is also the case. Perhaps they don’t wish to seem stupid for questioning? In this respect, I find his followers similar to those of religious faiths. They are taking what he says at face value because they believe in him. They may well be correct – I don’t know. The argument seems reasonable, but who knows? Is that a rhetorical question, “who knows?” Because there’s an obvious answer. The actual biologists (ie, people who dedicate their lives to understanding this stuff) know. And a good number of them have produced books that Betty and I and any of our readers can understand. These outreach biologists (Dawkins, Gould, Wilson, etc) don’t make arguments of the form “I believe this, and I’m and expert so just take my word for it.” They make arguments of the form “Here’s some evidence. Here’s why it supports evolution.” With plenty of references to original research so that you can independently verify their claims if you don’t trust them. So, the supporters of evolution rely on the evidence, occasionally spending some time pointing out the flaws in the deniers’ arguments. The deniers of evolution paint caricatures of the evidence, attack the caricatures, and pretend that they’re doing science too. They don’t do real science: they don’t make falsifiable predictions, and they certainly don’t do experiments to test them. When I read Dawkins, I can trust that most of what he says about science is based on the scientific method. He’s reporting conclusions that have been carefully tested, which qualified people have tried and failed to disprove. I take what he says at face value because I trust the procedure that has been followed to arrive at those conclusions. When I look further, the people who are qualified to understand the evidence all tend to agree with him. On the other hand, he clearly isn’t speaking as a scientist in many of his comments about religion, and so I don’t take them at face value. In fact, I often disagree with him, vocally, in settings where that sets me apart (ie, among other humanists). I’m not treated as stupid for questioning because my humanist acquaintances – like Dawkins, like most atheists and humanists – value questioning. We believe that any claim should be open to question, no matter how popular it is. If the question has nothing to back it up – no evidence to motivate a shift in our beliefs, then we set it aside. But if the questioner has a sound reason for dissenting from popular opinion and solid evidence to back up their dissent, then that dissent spreads. It was that sort of questioning that led to Darwin’s great breakthroughs. It is that sort of questioning that has led to every refinement and revision in the theory of evolution since then. It is that sort of questioning that has driven science for the past few centuries, with countless concrete benefits as proof of the process. And, although religion is not uniformly anti-knowledge or anti-progress, the opponents of science have almost uniformly been religious. Worse, I believe his words convert more people to fundamentalist ideas than anything else as they engender a sense of victimhood and persecution amongst those who don’t agree with what he says. I would object to the use of the term “fundamentalist” here, as it seems completely divorced from any useful definition I’ve come across. But yes, to the extent that he overstates the religious antipathy to science, and exaggerates the incompatibility of science and religion, he does encourage an unhelpful us-versus-them mentality among atheists, and it’s one that I try to combat where I can. There are many, many religious believers who have nothing wrong with atheists or with evolution. Many of them are acquaintances and friends of mine. Recent centuries and decades have seen a dramatic reduction in institutional discrimination against the non-religious. Keep in mind, however, that “victimhood” is not always an inappropriate feeling. Sometimes you are a victim, and you need to be aware of it. Some laws favouring religious over non-religious belief still remain, even in the enlightened West (even in uber-secular Finland). Dawkins is a scientist, and as Betty says, 40% of Americans deny the evidence that is at the foundation of his field. To the extent that they try to challenge the teaching of that science in schools, and seek to warp people’s perceptions of it in universities (for example, see this development), there is a concerted attack on precisely the field of knowledge Dawkins has devoted his life to. It’s worth noticing and acknowledging that scientists (and everyone who benefits from their work) are victims of the creationists’ campaign of science-denial. That way we can do something constructive to counter it. I really don’t like my first mention of such an apparently pleasant person as Betty to come off so negative and critical. (I enjoyed this post of hers, and this one.) I hope that I have made it clear that Dawkins has by no means a free pass to my credulity, particularly when he talks about religion. Whether that helps encourage her to look deeper into the whole evolution/creation thing is up to her. I hope Betty will respond to what I’ve said, either in the comments here or on her own blog post (where I’ll point her to this post). And of course, anyone else who agrees or disagrees with either of us is invited to comment too. 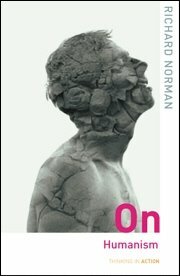 * From the same list of publications, using just the titles as a guide, I count no more than 8 of 16 popular articles dealing with religion (at least 11 of the 16 have a scientific slant), and only 3 of 30 academic articles can plausibly be said to be about religion, the remainder being biological. So, out of 56 items listed, no more than 12, or about 21%, are about religion – most of these being popular articles. At least 48, or about 86%, deal primarily or exclusively with science. (Totals exceed 100% because some articles seem to deal with both science and religion. Also note that I think one or two articles appear both in the scientific and the popular list.) Readers can decide whether this amounts to a “dogged obsession with religion”. Perhaps the dogged obsession belongs to those apologists who wish to diminish his influence, Dawkins being a well-known and widely-respected public figure. This is the second part in a series discussing John Blanchard’s book, Does God Believe in Atheists? In this post, I discuss his presentation of the theory of evolution. If you missed it, you may want to read the introductory post first. In order to keep this post as short as possible, I provide links from this post to two of the most accessible and useful online sources of information on evolution: Wikipedia and the Talk Origins Archive. Links to the Talk Origins pages use a small (TO). All other links in this section are to Wikipedia articles. Please follow them for substantiation of my claims. The scientific consensus on the basics of evolution is sound. It is based on mountains of empirical evidence, including molecular (genetic) evidence, comparative physiology and geographical distributions, and fossil evidence. Even so, some people – particularly members of certain religious groups – remain unpersuaded. Blanchard is one of those people. At one level, the existence of a god is a completely separate question from the manner in which life has developed over Earth’s history. So for someone to raise the topic of evolution in an argument against atheism means one of two things: either they believe in a conception of a god that conflicts with the physical evidence on which evolutionary theory is based, or they have an impression of the theory of evolution as something other than what it actually is. Or both. No, the theory of biological evolution that got its start with Darwin and Wallace has not become a philosophy, nor come to encompass other disciplines. It remains a theory about how species change over time. Other uses of the term evolution in science include chemical evolution (abiogenesis) (TO), stellar evolution, and galaxy formation and evolution. These are separate topics; the evidence supporting them is largely separate from the evidence supporting (biological) evolution. No, none of these theories, either individually or taken together, explains the origin and development of everything. That is one of the goals of science, but no credible scientist claims to have achieved it yet. And no, sciences do not rule out the existence of God (TO). They may, in their progress, disprove (or cast reasonable doubt on) certain claims made by humans on behalf of God – such as a geocentric universe, a young Earth, separate creation of similar species, and so forth. And of course, people can extrapolate beyond the science. Dawkins points out that “Darwin made it possible to be an intellectually fulfilled atheist,” because it revealed an alternative to the argument from design. Blanchard goes on to present misleading arguments that are tiresomely familiar to those who care to learn about evolution. For example, he describes Piltdown Man (TO) and Nebraska Man (TO) – famous hoax fossils. He plays down the fact that it was scientists, judging the evidence in light of evolutionary theory, who established them as hoaxes. With these and other examples, Blanchard declares that the fossil evidence is not enough to establish common descent. I suspect he’s wrong, but whether he is or not, there’s a far more obvious flaw in his reasoning. He’s implying that fossils are the crucial evidence for evolution. They aren’t. They never have been. In the The Origin of Species, Darwin focused on morphological patterns of relatedness and geographical distribution in modern species and genera (see here and here) – patterns which remain unexplained except in the light of common descent. Modern biologists spend much of their time with molecules: the genetic code confirms patterns of descent predicted by Darwin’s earlier methods. Fossils are wonderful. They invariably support an evolutionary explanation of species development. And, in showing what animals (and occasionally plants) actually looked like, they satisfy human desires for a physical manifestation of the past. But organisms only fossilize under particular, rare conditions (TO). So we expect “gaps”. Even Darwin was aware of them, and (correctly) didn’t feel they undermined his argument. Fossils neither make nor break evolutionary theory; they simply support it. In summary, Blanchard colossally fails to demonstrate a basic knowledge of why evolution is accepted by biologists. Without that knowledge, he has no hope of persuading a moderately-informed audience that there are deep flaws in evolutionary theory. So far, he’s failing to engage this atheist; he’s just making me seriously doubt the rigour of his research. Next up: Does Blanchard understand humanism? As a humanist, I am vividly aware that none of my knowledge is infallible. None of it. I must always be open to the possibility that any of my beliefs – from the most mundane to the most fundamental – could be wrong. What’s more, a promotional blurb from Today proclaims that “John Blanchard masterfully engages both Christian and unbeliever alike.” So I had every reason to expect a robust challenge to my ideas. Shouldn’t a book that masterfully engages nonbelievers be able to muster at least one endorsement from an actual atheist for the cover? A quick web search throws up plenty of Christians’ reviews of the book, but none by atheists (except some unimpressed reviews on Amazon). And there’s that quip about “Darwinian evolutionism”. Something about people using non-standard terms for biology’s grand unifying theory puts me on alert for misrepresentations of its substance. Also, why bother talking about cults and other world religions when the thrust of the book is clearly to weigh the relative merits of atheism and Christianity? Okay, simple solution. Before embarking on a cover-to-cover voyage through this good-sized tome (it’s about the size of my hardcover copy of The God Delusion), I checked the three areas that I was worried about – areas where I would be able to judge from my own knowledge whether Blanchard was putting an honest effort into engaging my worldview. In a series of weekly posts, I will address each of these areas. I’ll look at what Blanchard says about evolution; I’ll look at how he characterizes humanism; and I’ll look at why he’s spending time on other religions. I hope that, along the way, I can help my non-humanist readers understand humanism (and evolution) a little better. I also hope that we can get a better idea about how to actually engage people of opposing beliefs (or at least, how not to engage people). First up: Does Blanchard understand evolution? For readers who enjoy this sort of thing, I also recommend Ebonmuse’s extensive and (currently) ongoing discussion of Lee Strobel’s book The Case for a Creator, over at Daylight Atheism.